There are 25 posts tagged FERN (this is page 1 of 2). Does the N’hambita carbon project in Sofala province in Mozambique live up to its reputation? That’s the question posed by a new report published by FERN and Friends of the Earth France. The report finds that the project, which is run by a company called Envirotrade, has “failed to deliver most of its climate change, development, financial and learning objectives”. OPIC political risk insurance for the Oddar Meanchey REDD project in Cambodia: Who benefits? In November 2011, the US Government’s Overseas Private Investment Corporation (OPIC) provided the world’s first political risk insurance policy for a carbon offset project. A recent report by Pacific Environment, FERN and Focus on the Global South questions who stands to benefit from this insurance. 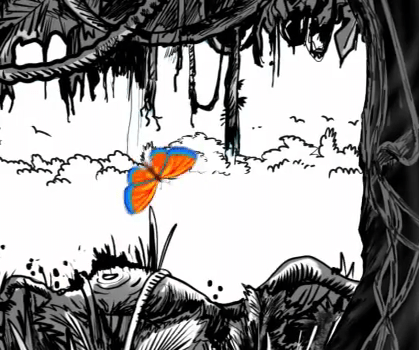 A new animated film about REDD was launched yesterday at the annual meeting of the Forest Movement Europe in Portugal. “This film attempts to explain the key issues in a simple to understand way,” says Wolfgang Kuhlmann of ARA, one of the seven NGOs that produced the film. 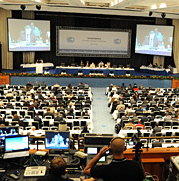 Over the next few weeks, REDD-Monitor will post a series of reports from participants at the UN climate meeting in Durban (COP17). The first comes from Kate Dooley of FERN and Kate Horner of Friends of the Earth US. Their report is extremely critical of what came out of Durban on REDD and in general on addressing climate change. Last week, REDD-Monitor posted episode one of Keuringsdienst van Waarde’s investigation into carbon offsetting. In case you missed it, here it is: “One cent per square metre: Dutch TV programme finds out the cost of Brazil’s rainforest.” Last week, we saw the Dutch TV consumer programme buying a plot of rainforest in Brazil. This week, the Keuringsdienst team looks deeper into the implications of CO2 offsets.